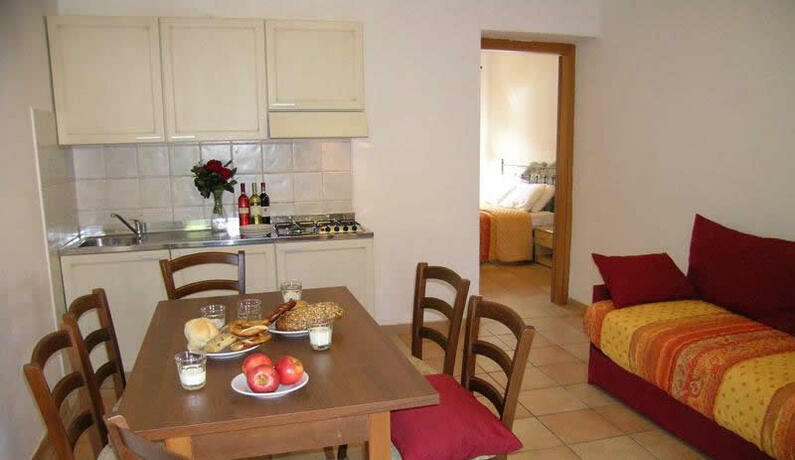 At Hotel Bella Italia you can choose to stay in hotel rooms or private apartments. The 44 rooms are furnished in a modern style, while the 9 apartments, designed for families needing larger space and privacy, have furniture in farmhouse style. The rooms are made to satisfy all of our guests’ needs. 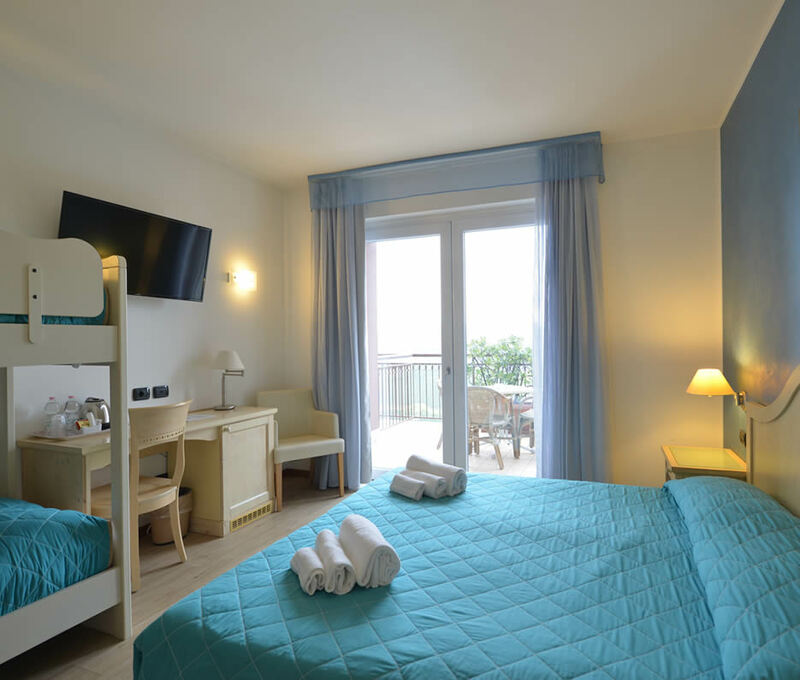 At your arrival, you can choose to stay in double rooms (about 15 sq. m.), family rooms with 3 or 4 beds (20-30 sq. m.) or communicating double rooms. 4 rooms for disabled people are also available in the hotel. Are you making a needs list for your baby during your holiday? On request you can have cots, bed safety rails, changing tables, potties and strollers free of charge. And if there is anything missing, just let us know: we will try to provide it for your next visit! 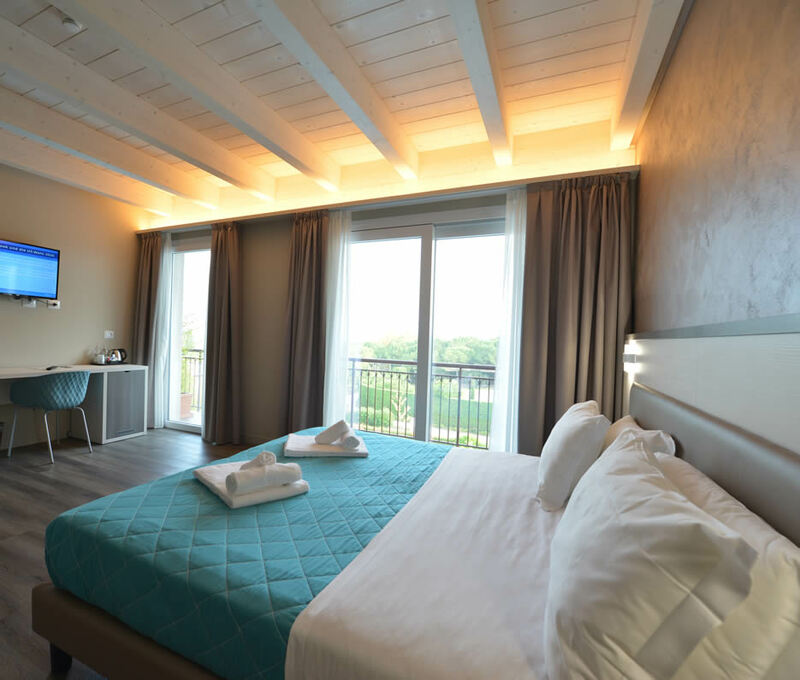 The 35-m²-large Tulipano flats are the ideal accommodation solution for families looking for excellent hotel-style services and facilities. They are all composed of a double bedroom, living room with sofa bed, cooking area with microwave oven, private services with shower box, TV and independent air conditioning and heating. Prices include breakfast, daily cleaning and linen change (bed sheets and towels). 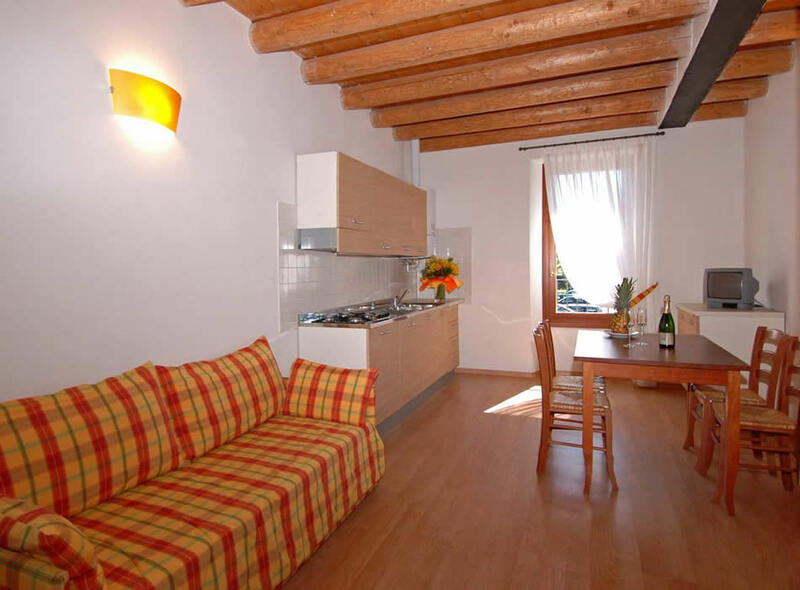 All flats are situated 30 metres far from the hotel, they lie on the first floor (without lift) and boast a ceiling dotted with rustic wood beams. They do not have a balcony.